Cinder, a gifted mechanic, is a cyborg. She’s a second-class citizen with a mysterious past, reviled by her stepmother and blamed for her stepsister’s illness. But when her life becomes intertwined with the handsome Prince Kai’s, she suddenly finds herself at the center of an intergalactic struggle, and a forbidden attraction. Caught between duty and freedom, loyalty and betrayal, she must uncover secrets about her past in order to protect her world’s future [x]. 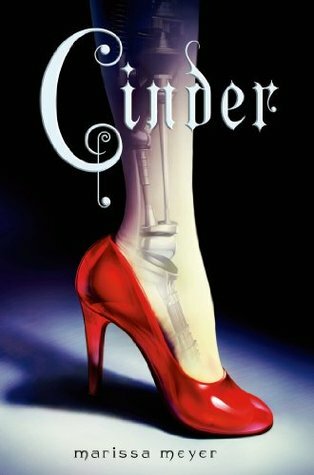 Review: Cyborg Cinder(ella) is a very cool concept. The retelling of the classic fairy tale but a new world and other elements twisted into it. I was worried that it wouldn’t live up to what I thought a story like that could be but it was just fine. I found this book to be very slow and very predictable (but I mean, if you know the story of Cinderella and are good at picking up foreshadowing it’s a given). It did however pick up in pace as it got nearer to the end. But I feel that more could have happened within that timespan. I liked the addition of the plague as anything relating to a virus intrigues me. I also enjoyed the fact that their was no fairy godmother to help Cinder, she had to do everything on her own. This was a really good debut novel for Meyer and I am happy to say that I am currently reading Scarlet right now (I am already enjoying be back in the world and glad that Cinder is also involved). I read this back in 2014 and I’m thinking I’m going to give it another re-read. So many people have now discovered this series and are so in love with it. I’m hoping if I read it a second time I can bring the rating up. This entry was posted in book, book review, book reviews, books, lunar chronicles, marissa meyer, review, reviews. Bookmark the permalink.